I'd like to thank you for all the items you sent to me in my last order. They are good value and I'm finding them most useful. Also they arrived so quickly. Top marks! Independence Ltd has a long history of providing high quality aids for everyday living. 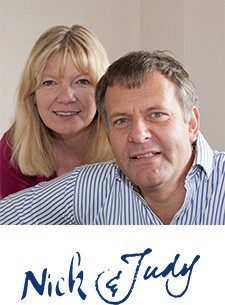 Started in 1985, Independence is still a caring family firm, run by husband and wife, Nick and Judy Holdsworth. It was whilst working as an Occupational Therapist, in hospitals and in the community, that Judy became aware of the many helpful products and gadgets that were simply not being made available through local authorities or the NHS. Finding enough time and energy to take care of ageing parents isn't easy, but it doesn't have to feel like a burden either. Here are some tips that should help.